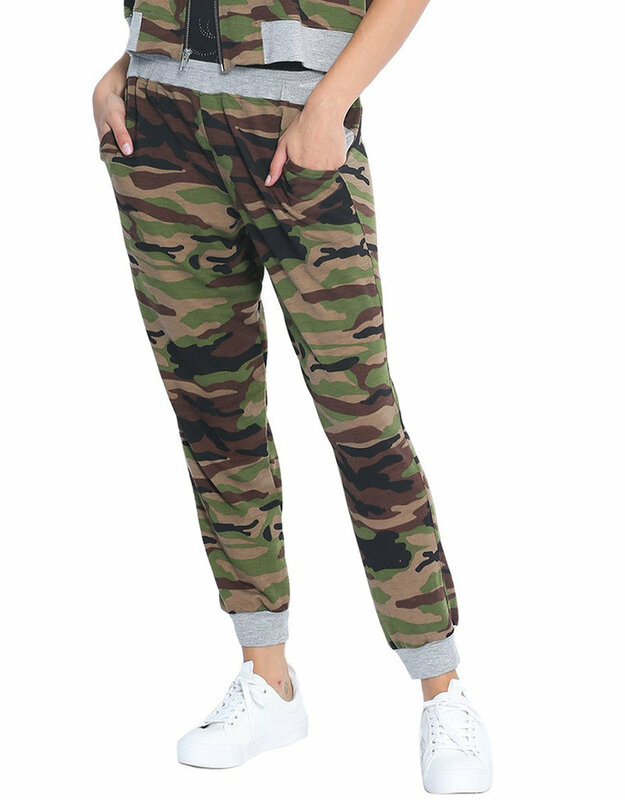 Soft French Terry Camo sweat pant with jersey waist band. 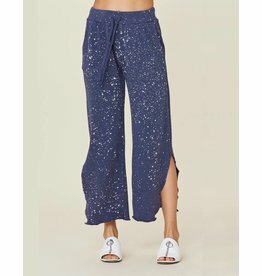 Navy terry sweatpant with galaxy splatter print, drawstring waist, and side leg slits. 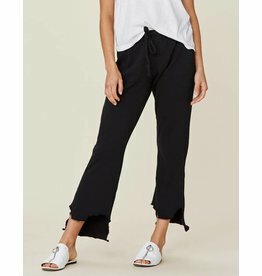 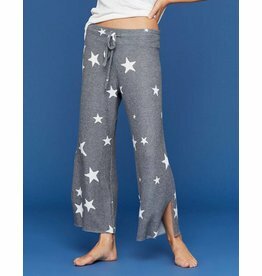 Terry sweatpant with drawstring waist and uneven "bitten" ankle hemline. 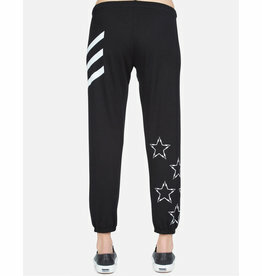 A brushed hacci sweatpant with a relaxed fit. 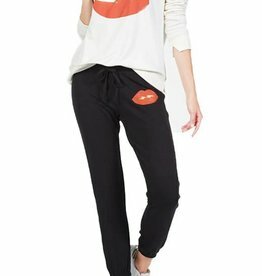 These soft black sweatpants look great paired with the Adele sweat shirt for a comfy night in. 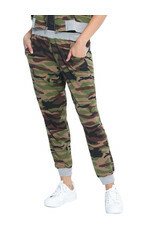 Classic fitting sweatpants with two front pockets and drawstring.